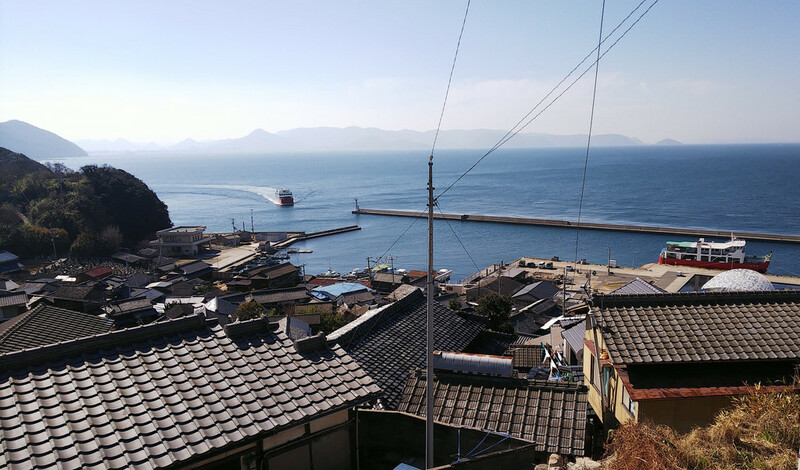 Today, I’m gonna tell you about the nerdiest thing I have done related to the Setouchi Islands, and probably one of the nerdiest things in my life. See, when I first started visiting the islands 10 years ago, for some reason (I forgot what it was) I started counting how many times I had visited each island. And, two years later, when I moved to Takamatsu, I kept on keeping track of these numbers and never stopped even though they didn’t really serve any purpose. And this is how, unless I made a mistake along the way, I can tell you that today was my 100th visit of Ogijima! 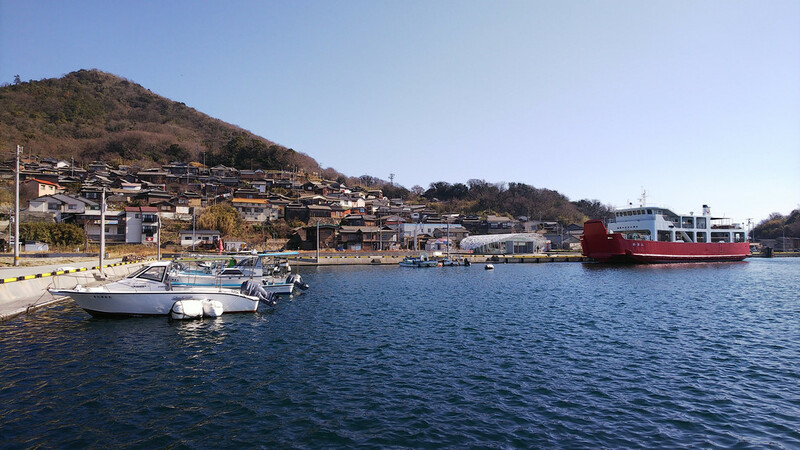 If you go to Ogijima on a weekday, especially in winter, you’ll discover a very quiet island. But if you look more closely, you’ll discover that it’s actually very active with a lot of everyday life activities here and there. In a sense, on those days, you discover the “real” Ogijima. There were still a few tourists (from Hong Kong? Not sure). Nowadays there are Chinese tourists almost every day thanks to a certain number of low-cost flights between Takamatsu and a few Chinese cities, mainly Hong Kong. One thing, us Westerners, need to keep in mind, all Western-centric that we are, is that when you hear about foreign tourists coming in larger and larger numbers to Japan, most of them actually come from Asia, not Europe, North America or Australia. And for some reason, Ogijima seems to become quite known among Hongkongers. I ran into one Westerner, though. He arrived as I was about to leave. I nodded at him and he got all confused (“Oh no, he just nodded, what I am going to do? I can’t really nod back, we don’t know each other. I can’t ignore him either, that would be rude”). I’m always a bit amused by those situations. See, in Kagawa, there aren’t a lot of Westerners, so it’s normal to nod to whoever you run into. If you don’t know them, it’s very likely that you know someone who knows them and you may formally meet one of those days. That or something, else, I don’t know, you just nod. So I do it also with tourists, not really thinking twice (after all, maybe they’re not a tourist). Their reaction is always quite interesting. They go from nodding back (not a tourist or a very social one), to being confused like this young man, but also something they pretend they didn’t see you when we’re basically facing each other. Oh well. If you’re wondering why a picture of this house, it’s very simple. 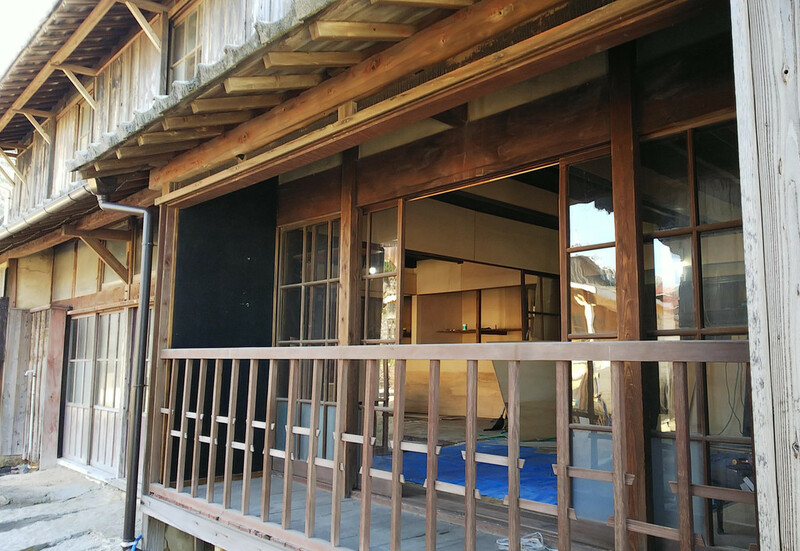 This house has been the venue of various artworks for every Setouchi Triennale (Takashi Nishibori in 2010 and 2013, Minouk Lim in 2016). I’m not sure who is going to be there this year, but the remodeling of the inside has started. This is for the moment the only activity related to the Triennale on the island. I expect things to be more active in a month or so. 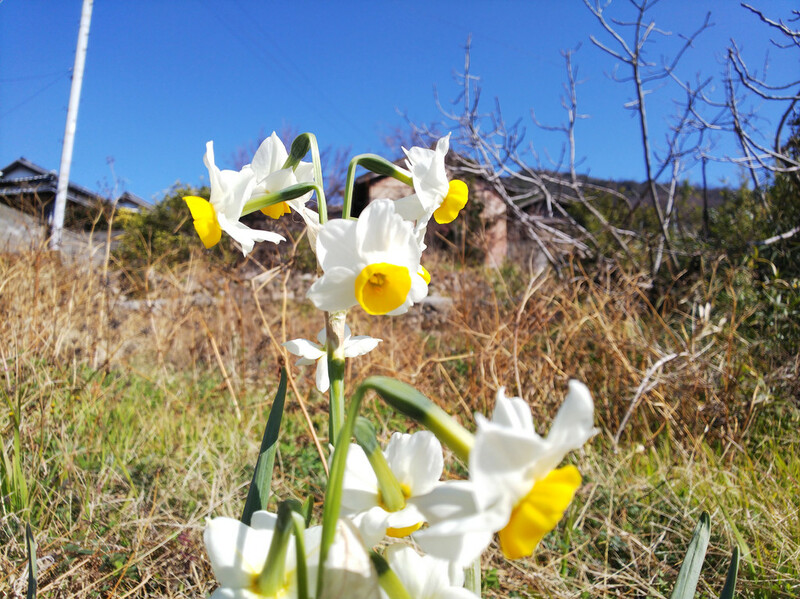 Winter is daffodil season on Ogijima. Oh! My ferry is arriving. I’d better go downhill to the port very soon. Actually, you have 20 minutes before the ferry’s arrival and its departure. That’s plenty of time to go to the top of the village and back down a few times if you have the legs and the lungs for it. As I may have mentioned before the blog is a bit quiet at the moment, but don’t get mistaken. I’m working hard on it, just not in the form on blog posts. Stay tuned. Hi David, we have only made it to Ogijima once, but I would definitely like to go there as many times as you do. 😊. One question I have wanted to ask for a while is are there any places that tourists can stay on Ogijima? 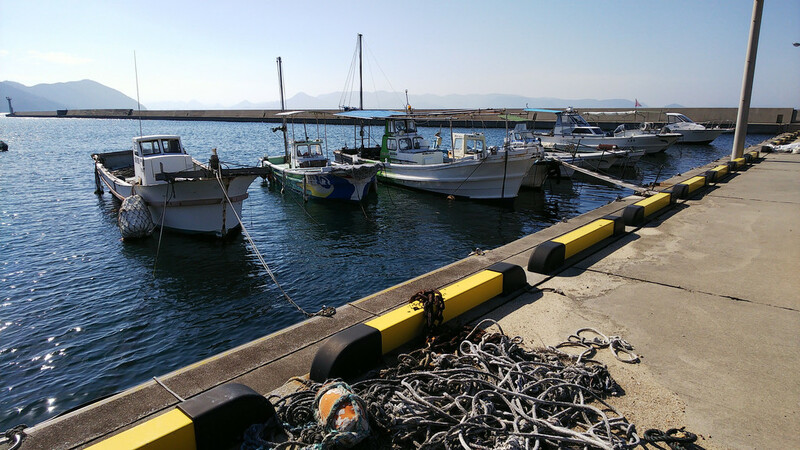 I would like to spend a longer period on the island, rather than only hopping back and forwards from Takamatsu . Thanks. Yes, Leonie, it’s totally possible to sleep on Ogijima. I’m trying to get this Ogijima guide done as soon as possible. I’m surprised that Marimo-so is not open every day during the Triennale. Just an assumption from my part, but they will probably not be open “no matter what”, but if they have reservations, they may open. But don’t mark my words. As far as the library is concerned, it’s usually open from Friday to Monday from 11 am to 5pm. Also not sure if it’ll have more opening days during the Triennale. Thanks for all that info David. In the meantime I realised I could try to check directly with the Library instead of bothering you! and yes, thanks to a quick bit of messaging on Facebook, they confirmed that their regular days of Fri-Mon may apply possibly through the Triennale as well, unless they open right through, but apparently still deciding. 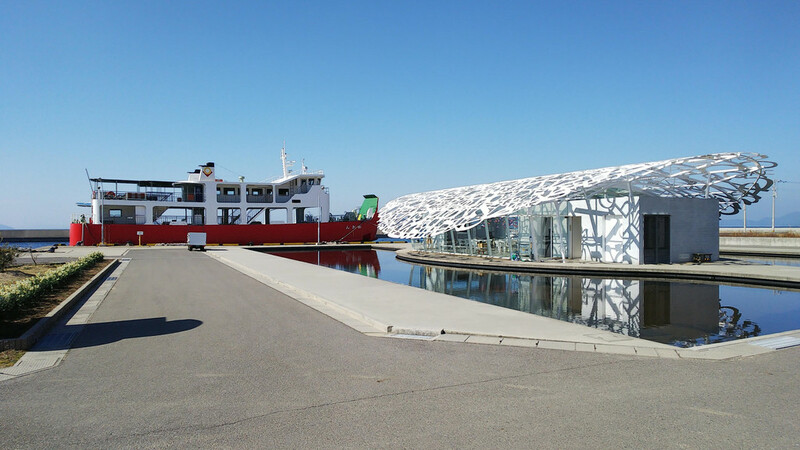 Next post Where to stay during the Setouchi Triennale?